Marisa and I have been completely blessed with great friends here in Frankfurt with all kinds of talent and from all parts of the world. Our Scottish friends Craig and Katie are two such amazing people who never cease to blow us away with their artistic gifts. While they never boast about these abilities, occasionally we catch wind of little side projects that they're taking on that we would never think about doing. Cover art for Craig's first book. After his father passed away he was asked by the publisher to finish the series that he had started. After a few years he's done just that, which is an awesome tribute to his dad. 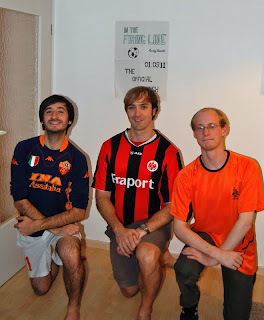 Recently we were invited over for a surprise celebration for Craig's first book launch on Amazon. 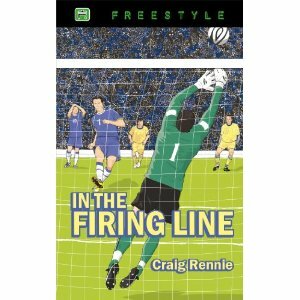 He wrote "In the Firing Line" which is a continuation of two other books that his father, Cliff Rennie, wrote in 2000 ("Offside in Ecuatina") and 2003 ("Goal Behind the Curtain"). They're soccer-themed books with a strong Christian influence. While the Amazon.com version has not been released yet, we were celebrating the book's release on Amazon.uk. It was the middle of the week and Craig was totally surprised when we dropped in wearing soccer jerseys asking for autographs. The author, apparently from the "Eastside" of Scotland, displaying the first two books of the series. They were quite popular amongst young readers in the U.K., which I would probably compare to Matt Christopher sport-themed books in the U.S.
the "Launch Party" - such a great idea from Katie, who secretly prepared soccer-themed snacks and decorations as well. 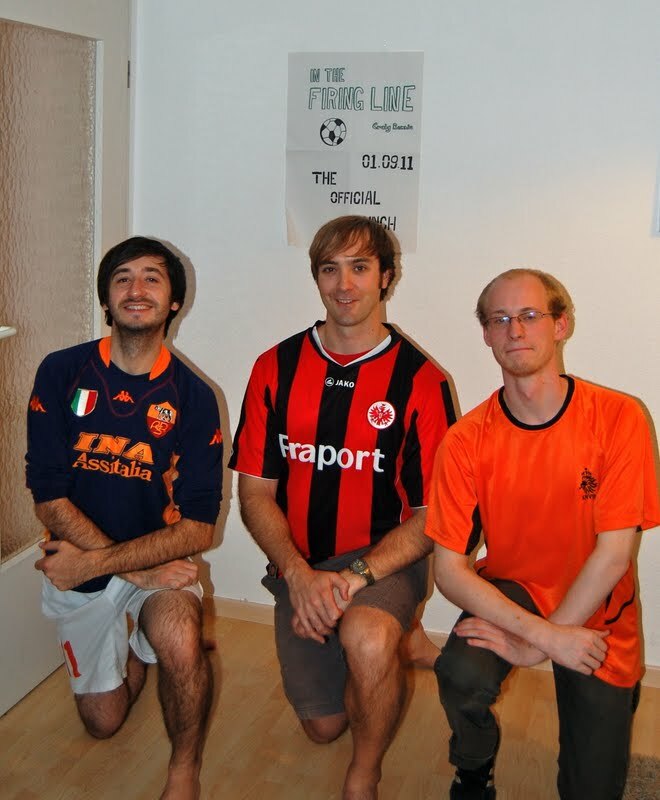 the "team pose" with Craig (sporting Roma), myself (sporting Eintracht Frankfurt), and Jan (sporting the Netherlands). It was good fun on a random Thursday and we're super-proud of Craig on this huge accomplishment. We hope to see more from him in the future and I'm just waiting for the U.S. launch date so that I can download a copy on my Kindle.